Prime Minister Netanyahu lashed out at the media after the Walla news site published an embarrassing recording of Sara Netanyahu screaming at her communications advisor. In the 2009 recording, Sara Netanyahu can be heard yelling over the fact that a write up about an event she attended at a local school did not mention that she is a licensed psychologist. "Why? Why? This wife of the prime minister does public work every day as part of her career! I am doing it as an educated, career-oriented woman! [I'm a] psychologist with a BA and an MA! That’s it!" shouted the premier's wife. In a statement released soon after the audiotape was aired, Prime Minister Netanyahu alleged that the recording was "part of the wild and violent witch hunt against my family" that aimed to topple a right-wing government. "What was the 'amazing discovery' they discovered this time? A tape from nine years ago that contains nothing. Is there a person who never gets angry and says a few words he did not mean?" asked the Prime Minister. Netanyahu added that "only in the case of my family that this is made a lead news headline, and is used as a platform of attack in the ongoing effort to bring down my government through means other than elections." According to Netanyahu, "this is the same media that for years ignored my wife's extensive public activity, for children with cancer, bereaved families, the elderly and Holocaust survivors. The real things do not interest the media, which makes every effort to hide them from the public. This time, too, this despicable attempt will not succeed. The public is smart and understands very well what is really happening here." 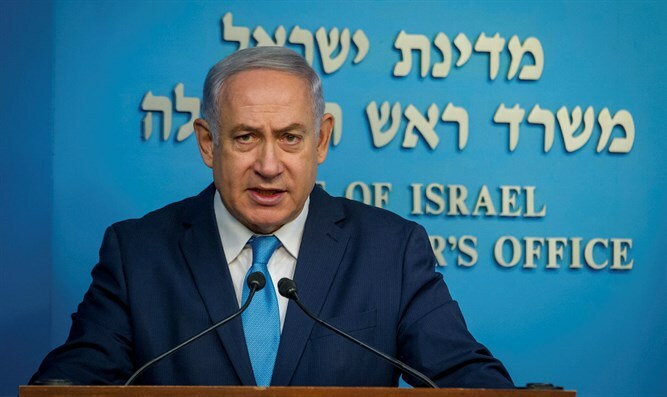 Prime Minister's furious condemnation of the Israeli media follows an earlier statement released by both the Prime Minister and his wife decrying their lack of privacy. "We have had enough of secret recordings and the breakdown of the norms of privacy, all in the name of slandering the Netanyahu family," read the missive. The new recording comes a few weeks after Netanyahu was forced to deal with another embarrassing audiotape documenting his son Yair's wild night of debauchery in 2015. In the tape, Yair is heard drunkenly demanding that his friend loan him money, claiming that a financial windfall his friend's father received was due to Prime Minister Netanyahu's policies regarding the Leviathan gas fields near Haifa. Netanyahu has had a contentious relationship with the media, which he accuses of trying to topple him through negative publicity. At a rally a few months back, Netanyahu said that "we know that the Left and the media -- and we know that it's the same thing -- is on an obsessive witch hunt against me and my family with the goal of achieving a coup against the government. The media and the Left contrive endless scandals, endless reports, and endless headlines so that maybe, maybe something will stick."